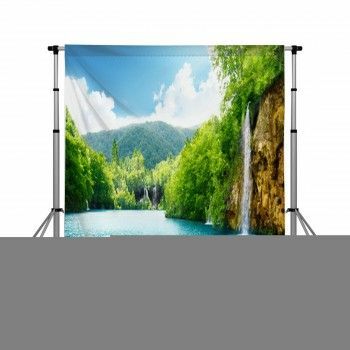 For some people, where they live and where their ancestors lived is no big thing; it's just a place. 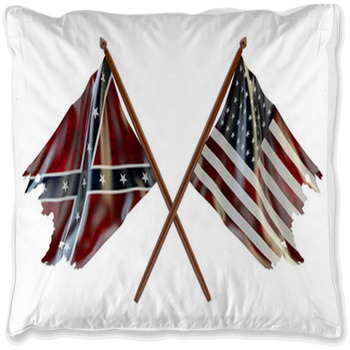 But for those born and bred in the South, the South is in their blood, and the Rebel Flag is a memorial. 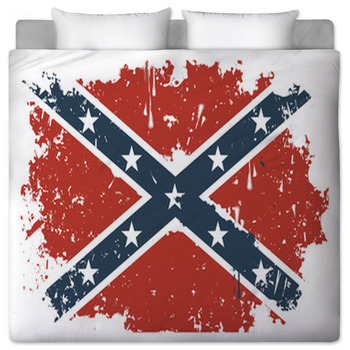 That's why so many people are so passionate about Confederate Rebel Flag bedding. 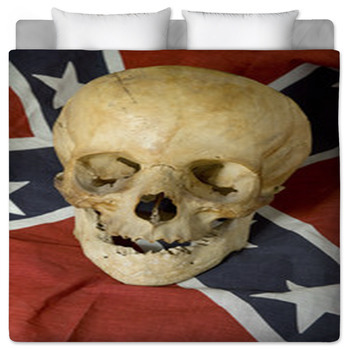 Our custom bedding proudly displays for the entire world your pride at being a Southerner. 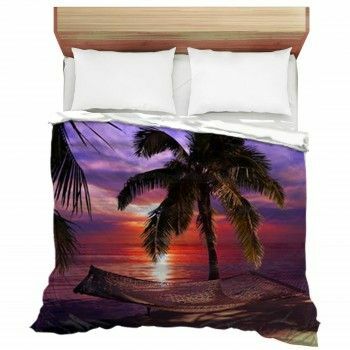 And the colors are perfect for coordinating with your bedroom's overall color scheme too. 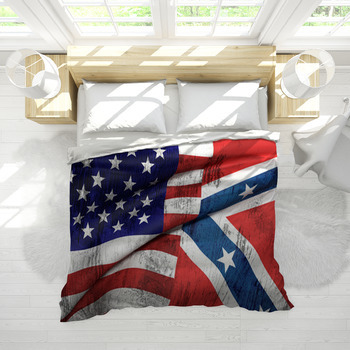 After all, we can change the predominant colors for your bedding from the red, white and blue of the Stars and Bars itself to any color you can think of. 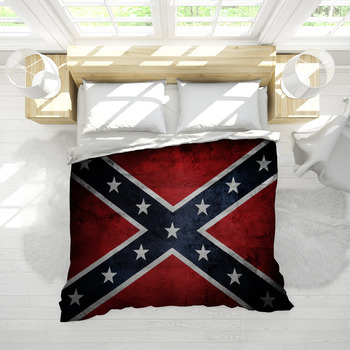 A popular color change is to make the flag black and white, as in greyscale, this gives a classy effect and allows the design to coordinate well with your other bedroom decor. 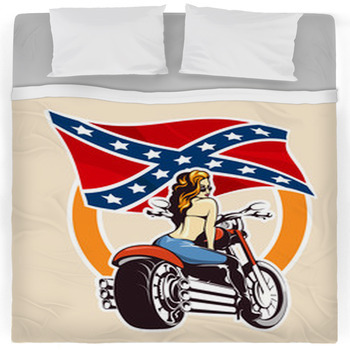 Think how great these colors will be splashed across your bed. 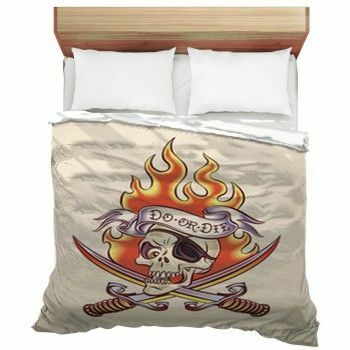 And there are so many different designs that you can create with it that even if you decide to create several sets of bedding linens, it will never get old looking. 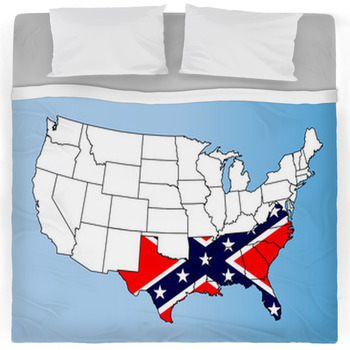 The process for creating your perfect Southern design is simple. 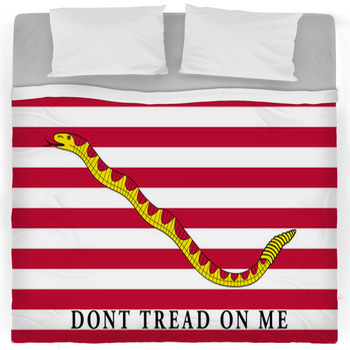 First, find the design from our collection that you feel will do the most honor to the flag. 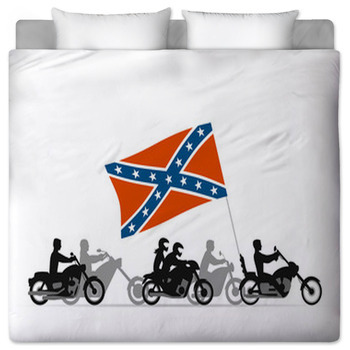 Maybe this will be the a stretched out or flying high flag or you standing in front of the flag comforter or duvet. 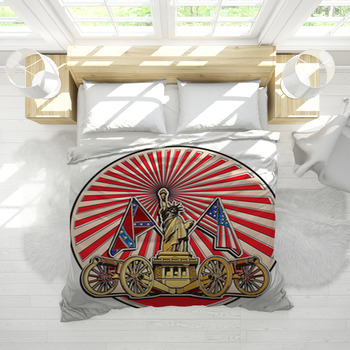 Your Southern themed room will look better when you put a wall tapestry with a vintage confederate flag design. 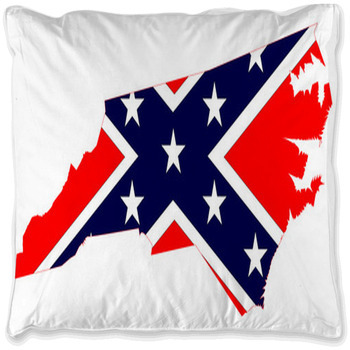 The result will be a Southern masterpiece that you'll almost be reluctant to lie on. 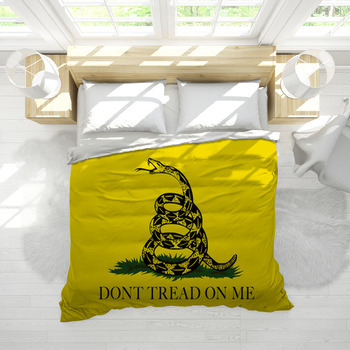 But go ahead our bedding is as comfortable and durable, as it is beautiful!.